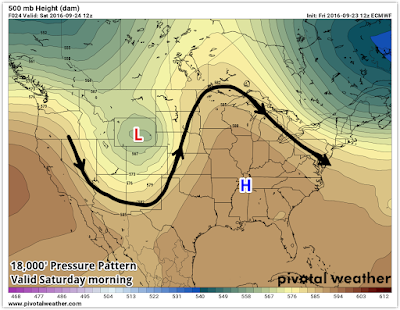 MWN Blog: Another hot weekend, then FALL arrives! 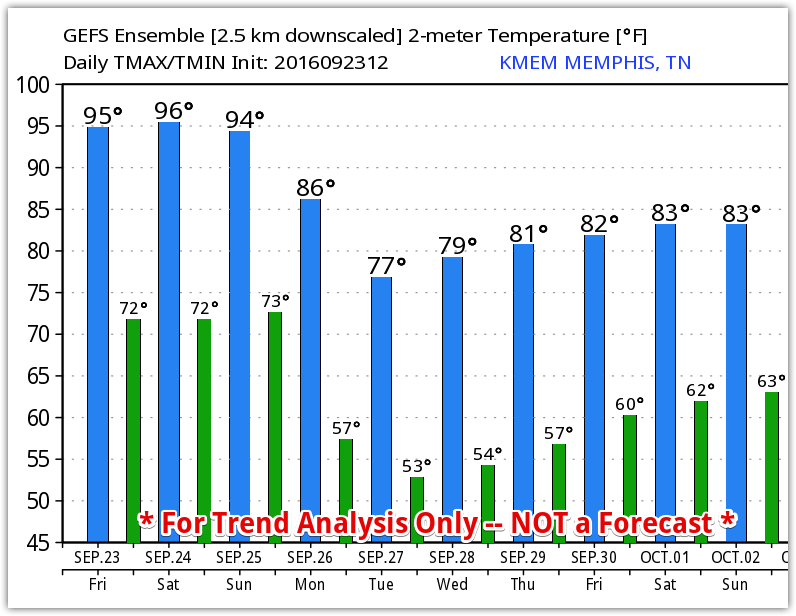 Another hot weekend, then FALL arrives! Tired of the heat? Yeah, me too. If you can hold out another couple days, I have great news! But by Monday, we'll start to see the major pattern shift as a massive upper-level trough over the western U.S. this weekend, upstream from our large ridge of high pressure, begins shifting east. It'll flatten out some as the main low pressure area goes by well to our north. 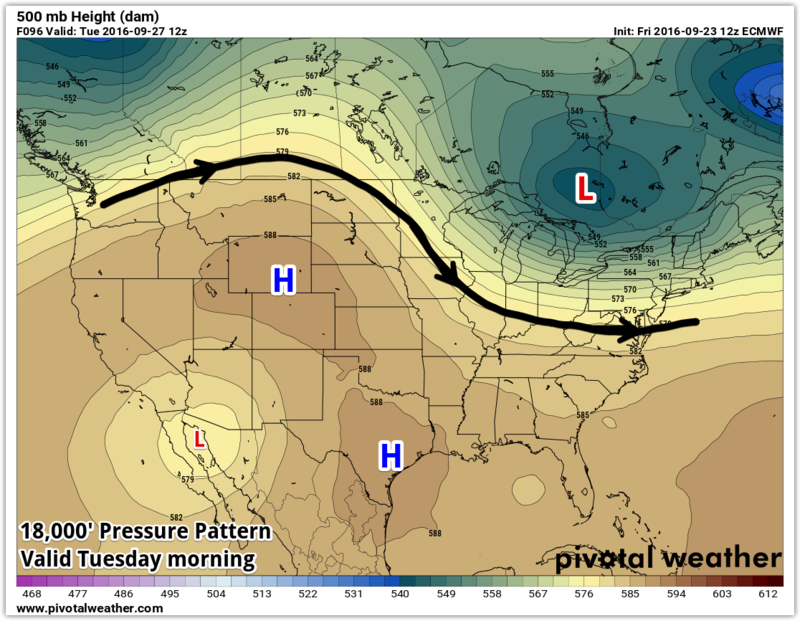 However, it will be enough to push a cold front slowly south through the region Monday and Tuesday, resulting in a chance of showers and a "seepage" of more autumn-like air into the Mid-South. 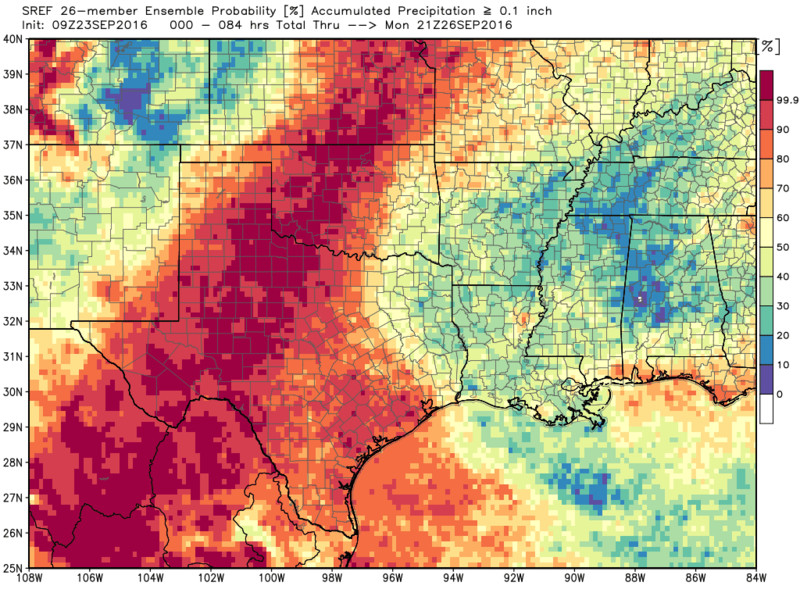 The rain chances with this front, despite there being a fairly large temperature gradient across it, will be fairly low thanks to most of the moisture remaining to our west in the southern plains and the dynamics associated with low pressure heading well to our north. Severe weather is not on the docket. 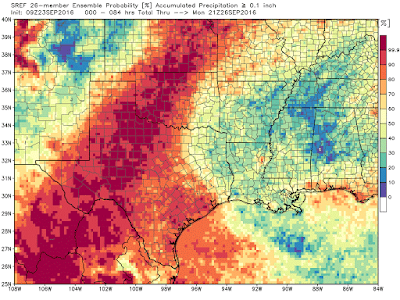 The best rain chances will be Monday into Monday evening (and even then only about 30%). 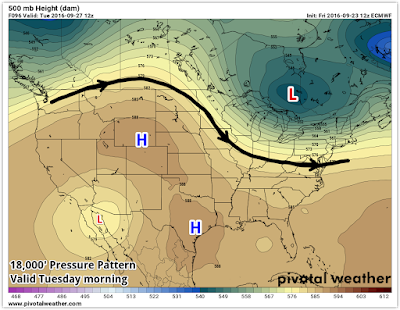 We could use some rain, so the little we might get will likely just set the stage for continued dryness next week as cooler high pressure builds in. Behind the front, we'll see temperatures more akin to "normal" for late September - cool mornings in the 50s (especially outside the city) and highs in the upper 70s to near 80. Mid-range model data has some disagreement in the strength of the cool air though. 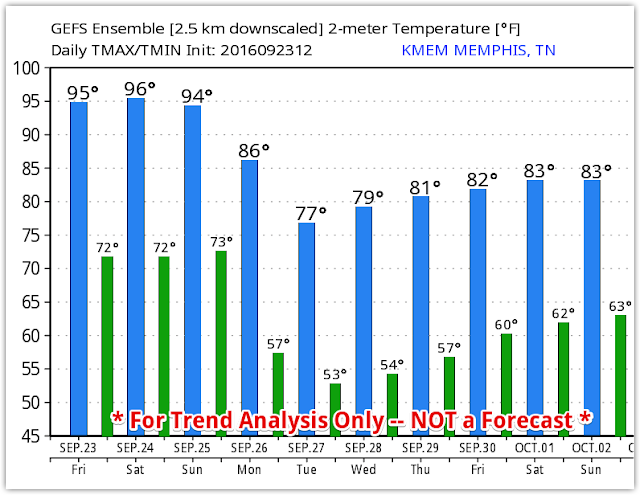 If the American GFS model wins out, outlying areas COULD see some lows in the upper 40s by mid-week. For now, that seem a bit of a stretch. In the long-term, it appears this current streak of 90s may be our last for this year, but above normal temperatures are expected to return by early October. The good news is that "above normal" for that time of year puts us in the 80s and humidity values are expected to remain tolerable. Here's to the arrival of fall next week!